Post Office House is a AA Four Star Gold bed and breakfast, located in the pretty village of Belford in North Northumberland. 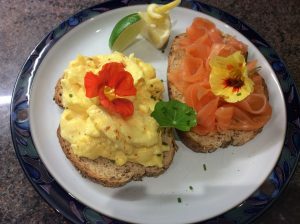 Looking for bed & breakfast accommodation in Belford, Northumberland? Elegant, comfortable and unassuming AA Four-Star Gold bed and breakfast with three luxurious en-suite rooms and an emphasis on excellent hospitality, quality breakfasts and attention-to-detail. Our award-winning breakfasts range from Full Northumbrian to Craster Kippers, made with local produce from our region’s excellent independent suppliers. Vegetarian and vegan friendly. Gluten-free and other special diets are catered for, with advance notice. Belford is a picturesque, historic coaching town in North Northumberland with pubs and local amenities. It is a perfect base for visiting key attractions such as Holy Island of Lindisfarne, Farne Islands, Bamburgh and Alnwick Castle. Post Office House is a AA Four Star Gold bed and breakfast, close to Bamburgh and the stunning Northumberland Coast (AONB). Post Office House was fully refurbished into a high quality accommodation establishment in 2016 and offer guests’ comfort, luxury and relaxation in our elegant Victorian home. 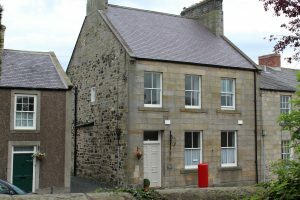 Purpose-built in 1893 and Grade II Listed, Post Office House was Belford’s former post and sorting office and retains the distinctive red pillar box, still in use today. It also housed the telephone exchange and National Girobank facilities, together with a private residence for the Postmaster and family until the last Postmaster retired in 2014. In changing times, Belford happily retains its post office service and is now located within the Co-op on West Street. The former route of the A1 (Great North Road) ran right in front of Post Office House, up until 1983 when the current bypass was built half a mile to the east. 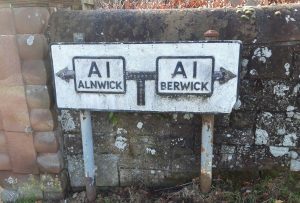 We are located between Alnwick and Berwick-upon-Tweed and just minutes off the A1. The stunning coastline and sandy beaches of Bamburgh and Budle Bay are within a ten minute drive. We are also on the direct route of both St Cuthbert’s Way and Northumberland Coastal Path and is a walker’s paradise. Everything to the highest standards. We will return. Thanks for a lovely stay and wonderful hospitality. So glad to find you, 3 lovely days – thanks! Beautiful room and comfy! Fabulous & wholesome breakfast. Brilliant conversation!